It’s been making the rumor rounds for a while now but we have confirmation that the cheap but awesome Google Nexus 7 is getting a storage upgrade to 32 GB, just right for all your media needs. Today, we’ve got confirmation that the device will be available in time for the holidays. So if you’re looking for the perfect stocking-stuffer for your tech-head loved one, read on! Upgrading the Google Nexus 7’s memory to 32 GB is an answered prayer for fans who love the device but hate that they can only store so much in it. And with the higher storage version costing just an additional £40 ($65), the decision to get this over the 8 GB model should be a no-brainer. We’ll be keeping an eye on information regarding release date and availability. Be sure to check back for more news of the Google Nexus 7 here on Tapscape! 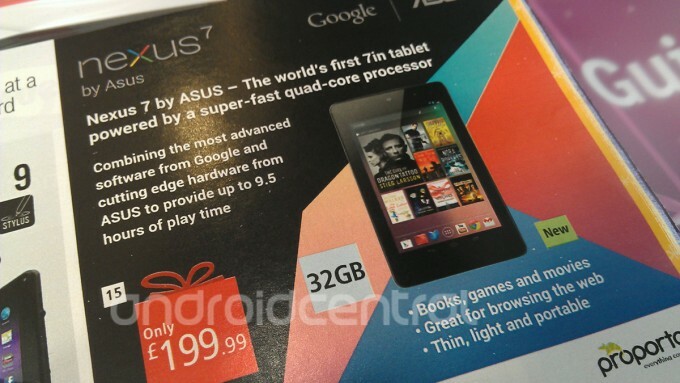 Will you be upgrading to a 32 GB Google Nexus 7? Does the price tag seem fair for the higher storage capacity? Share your thoughts in the comments below!